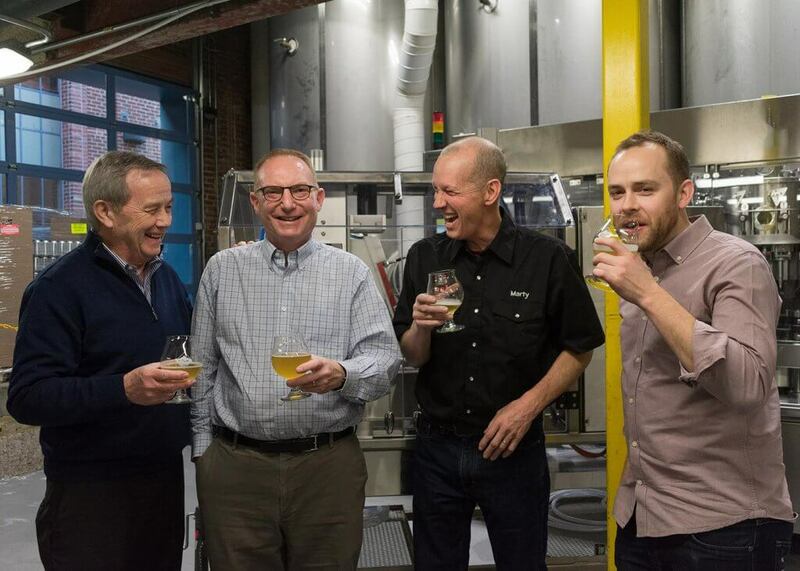 MSU Denver’s Steve Galpern (second from left) celebrates the mACS arrival with (L-R) Cask’s Peter Love, Marty Jones and Russell Love. If someone’s going to school for a degree in beer, we think their education can’t be complete without thorough schooling on the micro-canning segment we created. So we’ve donated a canning system to the growing Beer Industry Program at Metropolitan State University of Denver, in Colorado. Our Micro-Automated Canning System (mACS) will serve to educate the program’s students on the packaging, environmental, and freshness-keeping benefits of canned craft beer. The MSU Denver brewing program (a branch of the school’s innovative School of Hospitality, Events and Tourism) offers several degree and non-degree options. It blends the art and science of brewing beer with the hospitality knowledge and operational skills sought by the beer and brewing industries. Better still, our mACS donation will also provide valuable funding for the beer program. Tivoli Brewing Company, located in the school’s Tivoli Student Union, is adding cans to its packaging lineup and will host the mACS in its brewery. Tivoli will pay the university for use of the machine (at market rate) as if employing a mobile canning service. Students will receive training from Tivoli Brewing staff on the canning operation and get firsthand experience with brewing, packaging, and distribution. 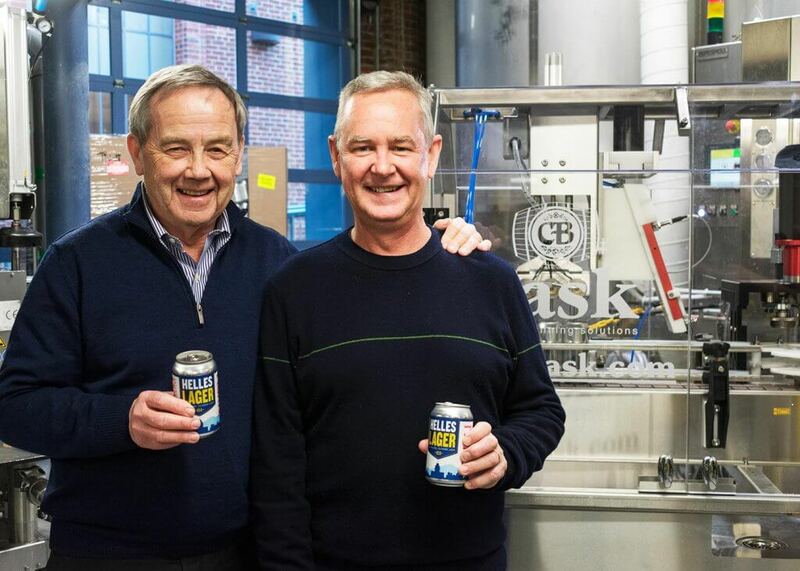 Peter Love and Tivoli Brewing CEO Ken Hehir with Tivoli’s first cans. MSU’s Beer Industry Program is especially comprehensive. It includes courses in a range of topics — chemistry, biology, management, hospitality, marketing and others — that are valuable in the beer trade. 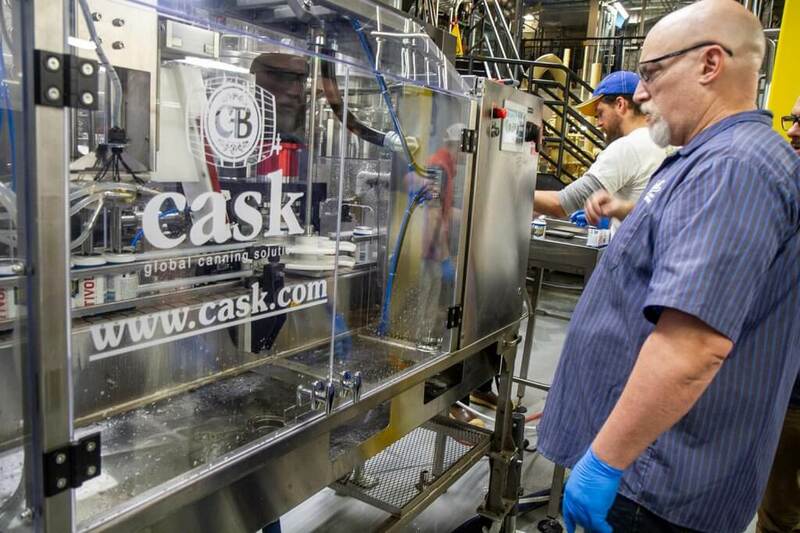 Students can earn Bachelor of Science degrees with a major in Brewery Operations or Craft Brewing and Pub Operations, or a minor or certificate in Brewery Operations. Situated in downtown Denver on the Auraria Campus, the University’s central location within Colorado and the nation offers students access to a considerable number of experiential learning opportunities. Students often engage with breweries, restaurants, distributors and hotels located within a few miles of the campus. 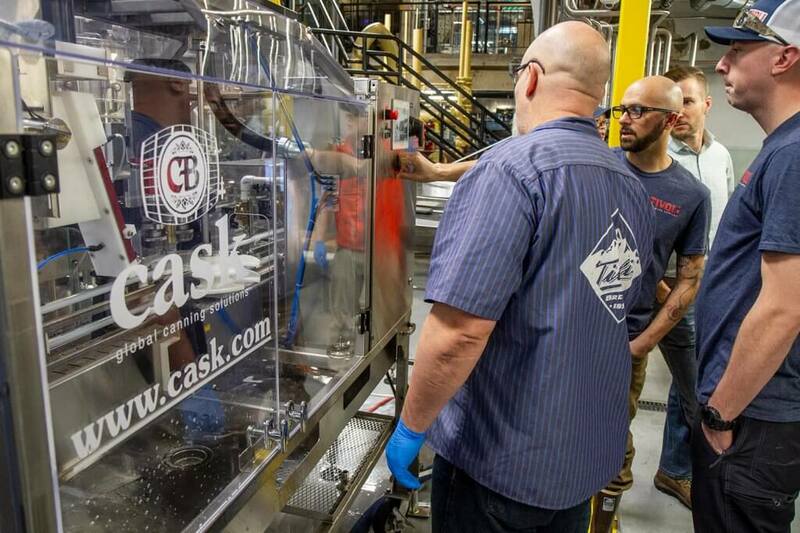 Learn more about this trail-blazing beer program at https://msudenver.edu/beer/.